Here is British Indian musician Soumik Datta in his genre-breaking performance Fretless Nomad commissioned by the Bagri Foundation. 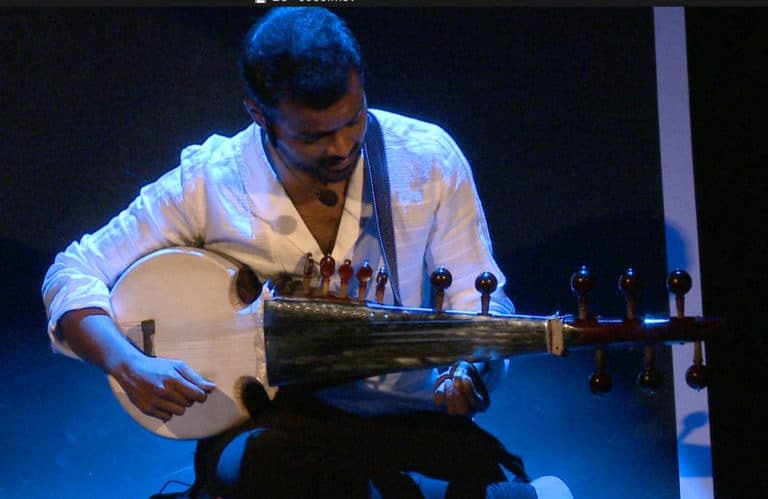 The performance charts the musical history of the 19-stringed fretless instrument known as the sarod. This nomadic journey spans ancient Afghanistan, colonial India and present day Britain. Accompanied by – Shahbaz Hussain on Tabla.